Marie is a sweet villa, sitting on the hillside of Camaruche. It has air-conditioning in the bedrooms, making it nice for a family with older children. There is a beautiful outdoor living area/deck that can be enjoyed day or night. There are also ceiling fans and screened windows, and you can make use of hot days by spending time in the pool. Besides touring the area, there are plenty of modern day amenities that make Marie Villa a pleasant stay. 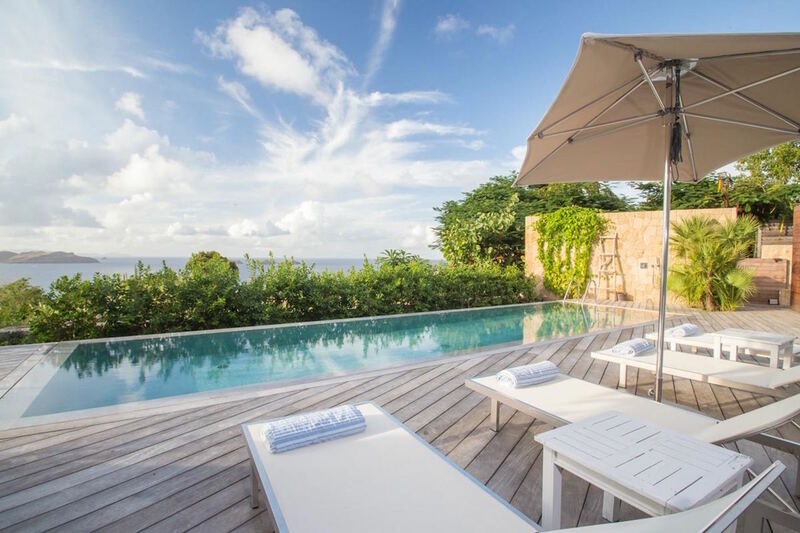 Marie Villa is located in a quiet garden setting with views of the ocean, and Fourchue Island, St. Martin, and Anguilla in the distance. Marie Villa features indoor and outdoor comfortable living and sitting areas, 3 decks, an infinity pool, and is tastefully furnished.